What's your favorite striker for your ceramics... specifically your blue mahoe? Yep. Original dymondwood is very good too. I too couldnt stand it. My walnut and blue mahoe needed a sister. 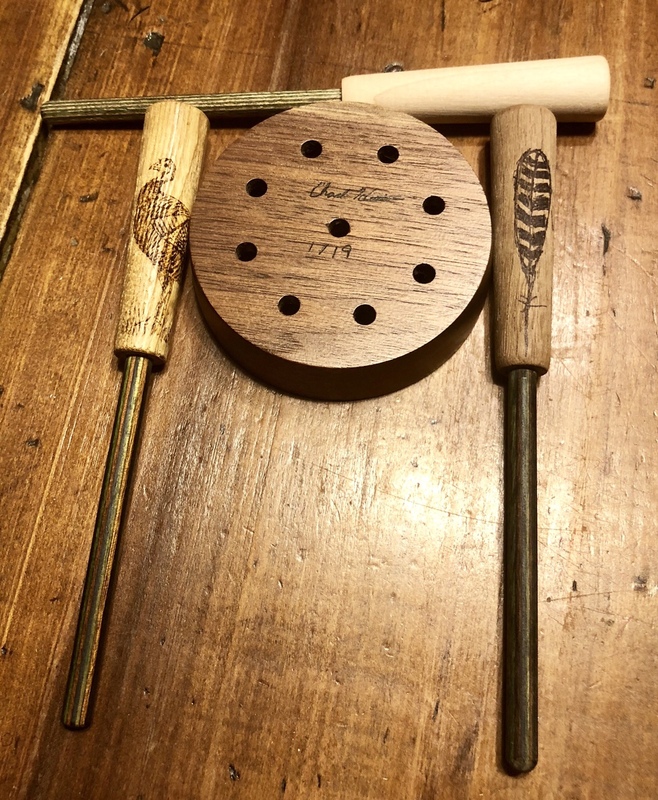 So you guys that got a mahogany, does it take the #1 stumpy ceramic spot for you? Because it did for me. I have to get me a stumpy I've always loved ceramics. I like the way Chad’s pots have nice depth to their sound. Very “full” sounding, compared to to flat, two dimensional (if that makes sense).